and I woke up a couple of hours ago. I know...can you believe it. in the World Cup of Soccer. about 2....3...or 4 hours the past couple of weeks. legs were killing for a couple of days after. a drain on the old brain. from the relief of the past two years. that need to be dealt with pronto. and it really creates a taste sensation! and shaped roughly in 3 x 3 x 3-inch triangle. Crumble the digestives in a food processor, add the melted butter and mix well. Place in a 20cm flan ring with a push-up base and pat down with the back of a spoon. Melt the chocolate in a microwave or a glass bowl set over a pan of simmering water. Mix the cream cheese, cream and sugar together until smooth. Add the raspberries and stir in, then add the melted chocolate and quickly swirl through. Spoon into the flan ring and smooth the top with a palette knife, then place in the fridge and chill for 2 hours. Serve dusted with icing sugar and a little melted chocolate if you like. Who doesn't love cheesecake? Use good-quality chocolate like Green & Black's, after all it is for you, too. Leave the raspberries out if you want to make this at other times of the year. In a blender, add all of the ingredients (minus the garnish) and pulse it until the ice is completely blended. Taste and add more sugar if necessary. Rub some of the lime around the rim of the glasses and then dip the glasses into the salt. Pour in the drink and garnish with a lime. I think I'm ready to get down with my HUGE to do list!! Hey, girlfriend, you wore me out just reading your post!! 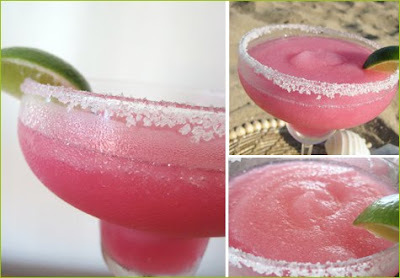 That Prickly Pear Pink Margarita looks delish!!!! Whew, I'm worn out just reading all the things that you have to do! LOL. Now, I'm hungry and need a nap and maybe one of those delicious looking margaritas! 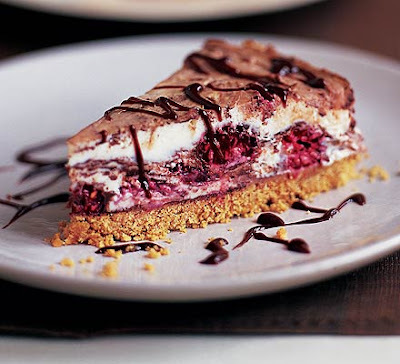 Nerina, I'll have a piece of the raspberry chocolate cheesecake, please. Looks delicious! Sounds like you are one busy lady. Oh, how I wish I could sleep late! The margarita sounds delicious. 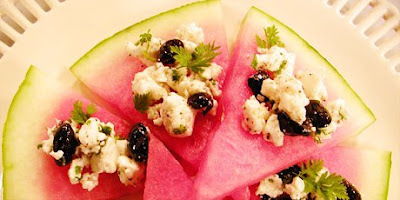 I have an even easier watermelon/feta recipe for you: cut up watermelon, crumble feta and chop up some fresh basil, toss together and there you have it. Easy and refreshing when it's hot and sticky outside. Not that we have had weather even remotely close to that yet. Still, the sweetness of the melon and the salty cheese is just sublime! Hope you made a dent in your 'to-do' list yesterday! KW sent me here. HI! I love your recipes. I had no idea cheese cake and marquiritas were so simple to make. Thanks! I will make both. I am drooling and running to my fridge to try (I said TRY haha) to whip up something just as yummy. I bet I fail but Thanks for the inspiration.